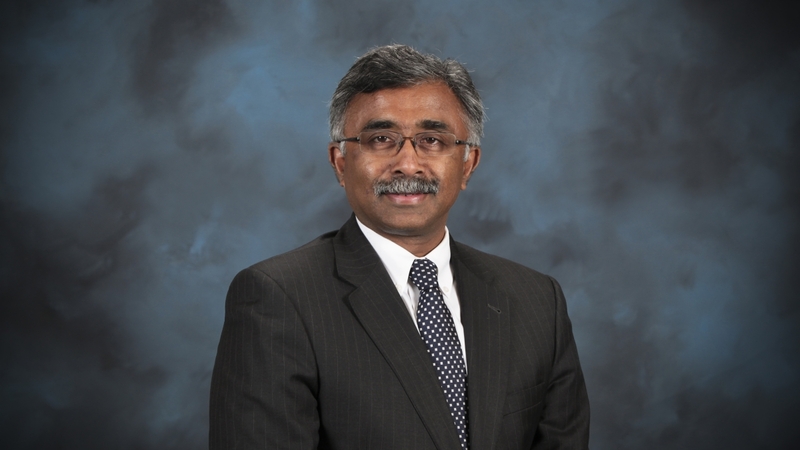 Thomas Zacharia named director of Oak Ridge National Laboratory. OAK RIDGE, Tenn., June 1, 2017 – Thomas Zacharia, who built Oak Ridge National Laboratory into a global supercomputing power, has been selected as the laboratory’s next director by UT-Battelle, the partnership that operates ORNL for the U.S. Department of Energy. “Thomas has a compelling vision for the future of ORNL that is directly aligned with the U.S. Department of Energy’s strategic priorities,” said Joe DiPietro, chair of the UT-Battelle Board of Governors and president of the University of Tennessee. Zacharia came to ORNL in 1987 as a postdoctoral researcher after receiving his Ph.D. in engineering science from Clarkson University in New York. He also holds a master’s in materials science from the University of Mississippi and a bachelor’s in mechanical engineering from the National Institute of Technology in Karnataka, India. When UT-Battelle became ORNL’s management and operating contractor in April 2000, Zacharia was director of the Computer Science and Mathematics Division. In 2001, he was named associate laboratory director for the new Computing and Computational Sciences Directorate, and over the next eight years he built a scientific enterprise that brought more than 500 new staff to Oak Ridge and opened the nation’s largest unclassified scientific computing center, the Oak Ridge Leadership Computing Facility, a user facility of DOE’s Office of Science. Zacharia was named ORNL’s deputy for science and technology in 2009, responsible for the lab’s entire research and development portfolio. During his tenure, the lab has strengthened its translational energy programs, establishing the Nuclear Science and Engineering Directorate and the Energy and Environmental Sciences Directorate. A team led by ORNL won DOE’s first Energy Innovation Hub, the Consortium for Advanced Simulation of Light Water Reactors, which leverages the lab’s expertise in computing and nuclear science and engineering. New capabilities were acquired in advanced manufacturing and cybersecurity, and the new Bredesen Center for Interdisciplinary Graduate Research and Education was established (it is now the UT’s largest doctoral program). In 2012, Zacharia took a leave to serve as executive vice president of the Qatar Foundation for Education, Science and Community Development, overseeing research in energy and the environment, information and computing technology, life sciences and biomedical research, and social sciences, as well as leading the country’s science and technology park, which is home to more than 40 multi-national companies including GE, Microsoft and Siemens. He returned to ORNL in 2015. The UT-Battelle board conducted an open, competitive search for a new director after Thom Mason announced that he would be leaving to join Battelle after 10 years leading ORNL. Among the goals Zacharia outlined if he were chosen as director: leading ORNL to be the world’s premier research institution; building on the lab’s original sense of mission – winning World War II while pushing the boundaries of research – to reshape its creative energy for the future; celebrating a science and technology culture that encourages individuals to be the best in their fields; and pursuing institutional excellence that advances US leadership in neutron science, computing, materials, and nuclear science and engineering. Zacharia’s appointment as director will be effective July 1, when Mason becomes senior vice president for laboratory operations at Battelle in Columbus, Ohio, where he will work with Executive Vice President of Global Laboratory Operations Ron Townsend to support the six DOE labs and one Department of Homeland Security lab managed by Battelle. UT-Battelle, a partnership of the University of Tennessee and Battelle Memorial Institute, operates ORNL for DOE’s Office of Science.